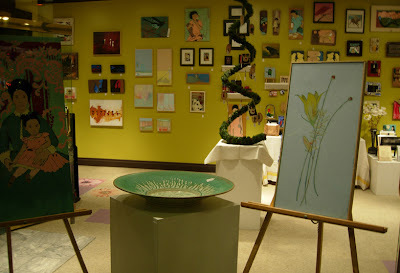 I have quite a bit of work here, plus there is a lot of amazing work by some of my favorite Minnesota artists...check it out! I posted more photos on my Flickr as well. I saw your work at the Placement.Gallery.Shop at Gavidae Common. I found myself going back several times to view your work. I love it! Unfortunately, I didn't make it back to buy the painting of the woman with the scarf. If you will let me know when your next show is, I will make every attempt to get there. Meanwhile, enjoy your puppy, the birds, etc, and have a Happy New Year!